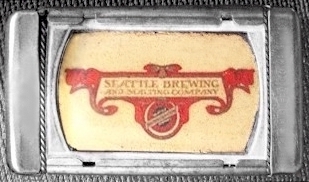 Hemrich & Kopp started their Seattle brewery in early 1883. 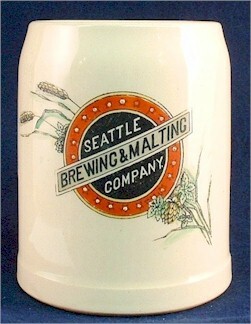 From steam beer to lager, the plant saw improvements in brewing, and plant expansion, that eventually became the Bay View Brewing Co. Then in late 1892, plans were made for the Bay View plant to merge with two others to form the Seattle Brewing and Malting Company. A brand of beer was then needed to identify the new company's product, and the name of the mountain that dominated the southern view was chosen. 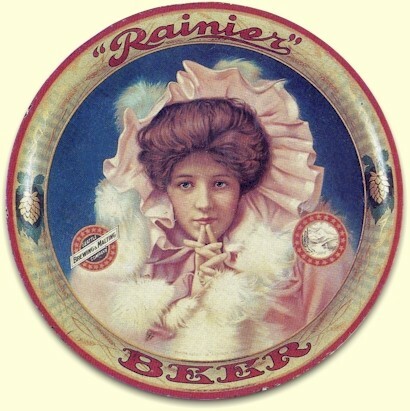 On January 10, 1893, "Rainier" was adopted as one of the brands for the new firm, and soon became their flagship mark. 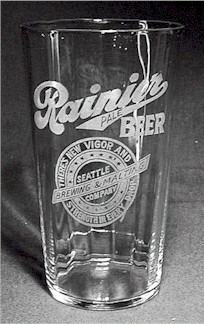 In 1978 the Rainier Brewing Company of Seattle observed their Centennial - celebrating 100 years of Rainier Beer. This was believed to be a claim that beer had been brewed on that site since 1878, instead of 1883. 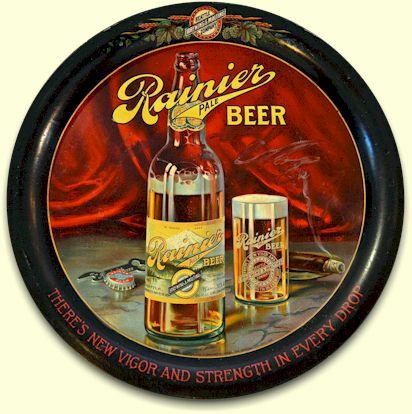 The familiar slogan: "Rainier...since 1878" was a catch phrase first used in San Francisco in the early '30s by the marketing people at Louis Hemrich's Rainier Brewing Co. 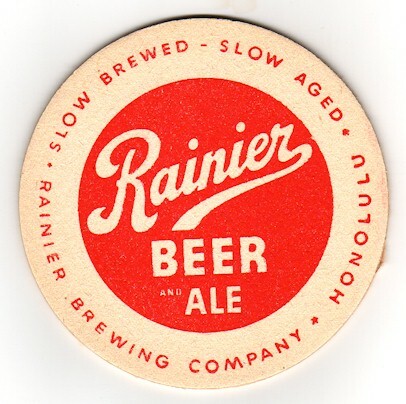 In 1948 their marketing folks decided that the 1878 claim wasn't carved in stone so they decided it was time to have their 75th anniversary - which would mean "Rainier...since 1873." 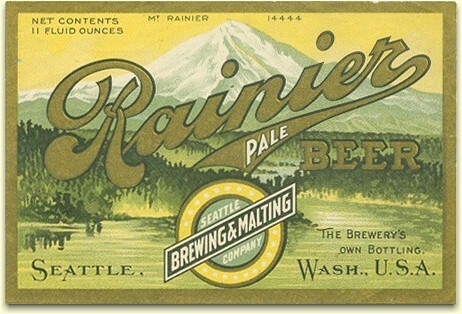 Rainier was born in the Territory of Washington, re-located to San Francisco, then to Canada, and finally returned to Seattle only to suffer the fate of most great regional brands - a corporate buyout. The brand survives, but is now a contract brew for Pabst, and produced in a southern California plant owned by Miller. So, the story of Rainier is not that of a brewery, but of the Rainier brand itself, and the beer barons that made it all happen. Part 1 of the Rainier story begins with a brief overview of the "House of Hemrich" (below), and covers the period prior to Repel - in Seattle, San Francisco, and Canada. 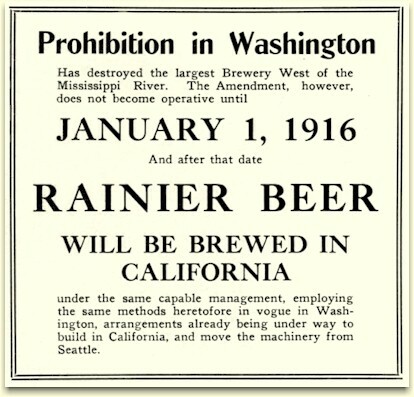 Part 2 of the Rainier Beer story deals with the period after Repeal in 1933, both in San Francisco, and briefly in Seattle. 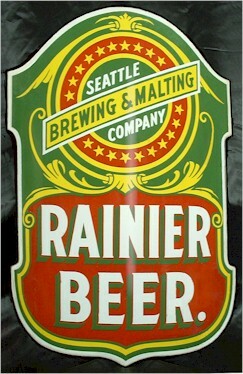 "Rainier Beer dates back to 1878, when Andrew Hemrich, a German immigrant, started the Seattle Brewing & Malting Company." 1.) Andrew (b. 1856) left Alma at an early age and was employed in numerous brewing enterprises before finding his way to Seattle in 1883. There, he and a friend from Montana, established a small brewery which produced "steam beer" (photo below). He is credited for founding the Bay View Brewing Co. and for establishing the Seattle Brewing & Malting Company in January of 1893. He also has a separate biography of his own - (Andrew Hemrich). 2.) John, Jr. (b. 1858) assisted his younger brother William in running the family brewery in Alma. Then in Sept. 1890 he and William established the Bay View Beer Depot & Bottling Works in New Whatcom (now Bellingham). He died in 1904. 3.) William (b. 1860) took over the family brewery in Alma - assisted by older brother, John. In 1888 they sold their interests and they too moved to Seattle. William was involved in the family's brewing activities until they were shut down by state-wide prohibition in 1916. 4.) Alvin (b. 1870) also worked in the family's Alma plant, and after a job with a brewery in Victoria, B.C. He then bought the North Pacific Brewery in Seattle and established the Hemrich Bros. Brewing Co. He also purchased a brewery in Grays Harbor County, WA, establishing the Aberdeen Brewing Co. Following Prohibition he established two Seattle breweries - the Hemrich Brewing Co., followed by the Apex Brewing Co., and he too has a separate biography (Alvin M. Hemrich). 5.) Louis (b. 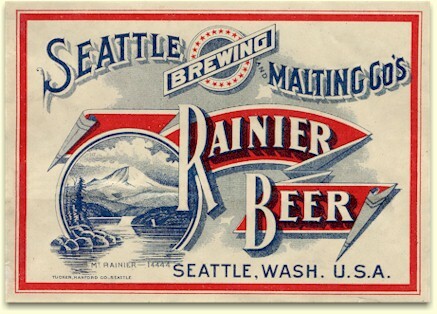 1872) worked in the Bay View Brewery, and was the other "Brother" in Alvin's "Hemrich Bros. Brewing Co." After his older brother, Andrew, died in 1910, Louis became the president of Seattle Brewing & Malting. 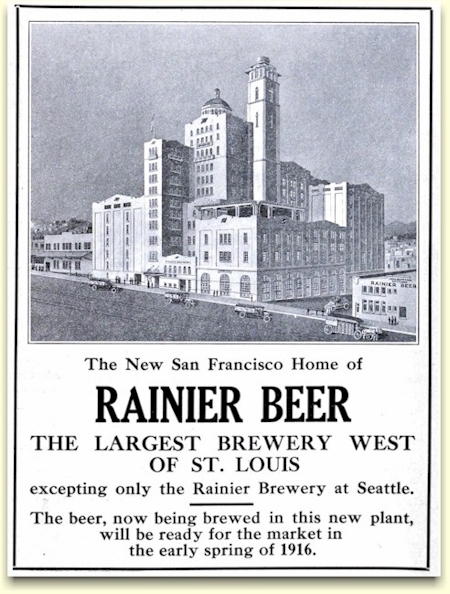 Then in 1915, when state-wide prohibition shut them down, he built a new Rainier Brewery in San Francisco. Consequently, he too rates a biography of his own (Louis Hemrich). 6.) Emma (b.1851) was John's oldest child, and only daughter. She wasn't personally involved, but her husband, Frederick Kirschner was very much a part of the rise of the House of Hemrich. So, his contribution warrants a closer look (Frederick Kirschner). 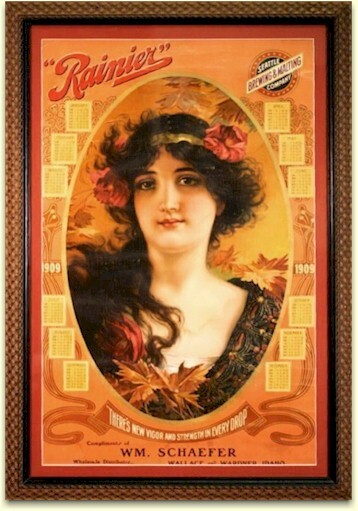 "This syndicate was a consolidation (1892) of three plants - the Bay View, founded in 1883; Claussen-Sweeny, established that same year; and Albert Braun Brewing Company, established in 1890. The last named plant was closed shortly after the consolidation was effected." The officers of the new association represented the old firms: Andrew Hemrich, president; Albert Braun, vice-president; Edward F. Sweeny, secretary; and Fred Kirschner, treasurer. They could not have foreseen that in less that ten years this firm would grow to be the world's sixth largest brewery and the largest on the west coast (as can be seen in the 1913 letterhead below - even allowing for artistic license). For a time, before Washington State introduced prohibition in 1916, the Georgetown brewery was the largest industrial establishment in the state of Washington. In 1904, Georgetown incorporated -- a “company town” safeguarding the business interests of its brewery. Company superintendent John Mueller was soon elected both mayor and fire chief. 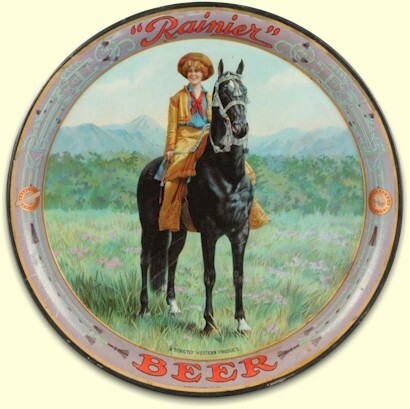 The number of taverns and roadhouses doubled, and by 1905 it required 25 horse teams to daily fill the Seattle appetite for Rainier Beer, the flagship label of the brewery. Production by then had reached 300,000 barrels per annum. The company now employed more than 300 men, and there was room to build worker homes beside the Duwamish River that then still curved through Georgetown. "K. M., Oakland" or "Kirchner & Mantie - Oakland, Cal." 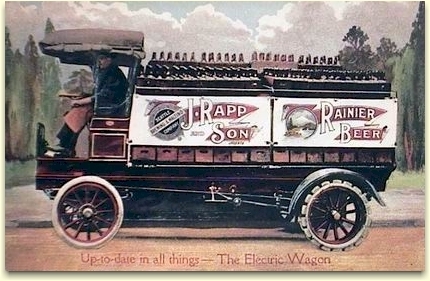 and "John Rapp & Son, S.F., Cal." 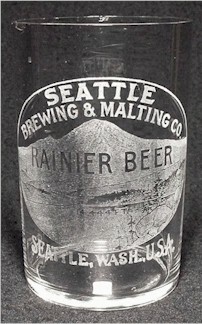 Some of the later, crown top bottles still had paper labels but also had "Rainier" embossed on the bottle, as well as the bottler's name. 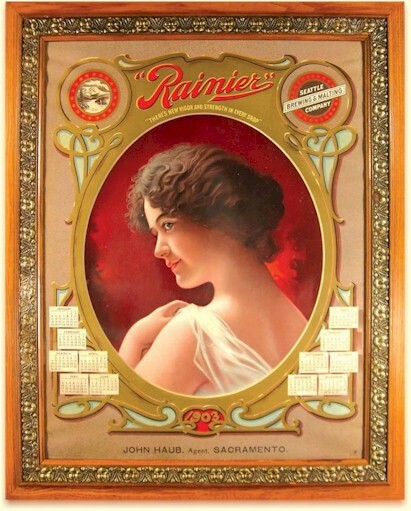 Two examples are: "Rainier Beer - Fresno Bottling" and "Rainier - Beer Bottling Works - Reno, Nev."
In early 1902 the Pacific Bottling Works was engaged as their agent/bottler in Vancouver, B.C. (see above). Then the following year, in February of 1903, the company purchased the Victoria, B.C. 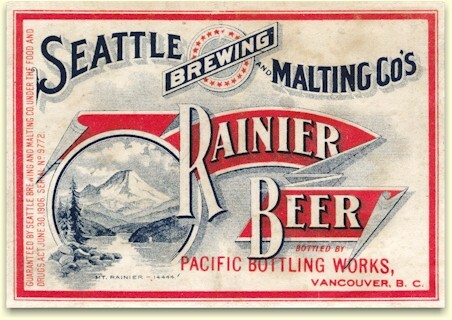 branch of the Pacific Bottling Works and announced the establishment of their own Rainier Bottling Works (ad at left). The plant was located in the B.C. Cold Storage building, and used the modern crown cap system. 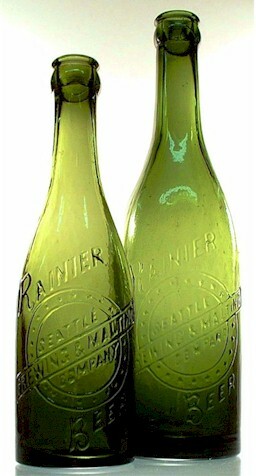 Kegs of beer were transported from Seattle by ship and the beer was bottled in the distinctive green, crown top bottles for the Victoria market. The half-pint was their specialty. Examples of these bottles are shown (below). The bottles would also have had paper labels but I've yet to see an example. In 1910 women had been granted the right to vote, and the Woman's Christian Temperance Union was still at work. So it's no surprise that on November 3, 1914, Washington State citizens voted to prohibit the manufacture and sale of alcohol, including beer. Brewers were forced to wind down their production, and had one year to deplete their inventories, and dismantle their operations. Louis Hemrich was now president of Seattle Brewing & Malting, along with company stockholders, decided to move operations to California - in the belief that national Prohibition would never pass. This move was also chosen by their subsidiary, Independent Brewing Co., and Tacoma's Pacific Brewing & Malting. "The new brewery is located on Bryant St. between Fifteenth and Alameda Sts. is in production and its beer will be ready for the market in early Spring. It is brewed entirely from San Francisco water, and was awarded the Grand prize (highest possible award) at the Panama-Pacific International Exposition, 1915." "The bottling, as heretofore, will continue to be in charge of John Rapp & Son, who will have the exclusive distribution of the bottled beer. 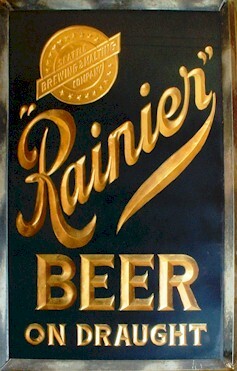 The draught beer, however, will be marketed entirely by the Rainier Brewing Company in the future." Unfortunately, the future was to be a short one. Not only was national Prohibition to be adopted in 1920, but a partial prohibition was imposed by President Woodrow Wilson in January of 1918. The purpose was to conserve grain for the war effort in Europe. The alcohol content of beer was limited to 2.75% and output was restricted to 70% of the brewery's previous year's production. In September of 1918, the president issued an outright ban on the wartime production of beer. On 16 January, 1920, the 18th amendment took effect and national prohibition became the law of the land. While some brewers chose to shift production to near-beer and soft drinks, most were forced to close, effectively destroyed the brewing industry. While Louis Hemrich did produce near-beer and other products, he laid plans to produce full strength beer for his long standing foreign markets - particularly Canada. Rainier Brewing Co. of Kamloops, B.C. The western Canadian province of British Columbia had long been of interest to the Hemrichs. Andrew was a principal in the Victoria Brewing & Ice Co. in Victoria, BC, and in 1891 he hired an agent there for his Bay View Brewery's "Export Beer". Canada also endured period of prohibition starting on Oct. 1, 1917. It was repealed in British Columbia by a referendum, in 1920 (effective 1 January, 1921). On December 10th, 1920, the Kamloops Telegram announced that the Imperial Brewing Co. had been purchased by principals of the Rainier Brewing Co., and on 4 January, 1921, it was organized as a subsiderary of the Rainier Bottling Works, Ltd., a Victoria, B.C. 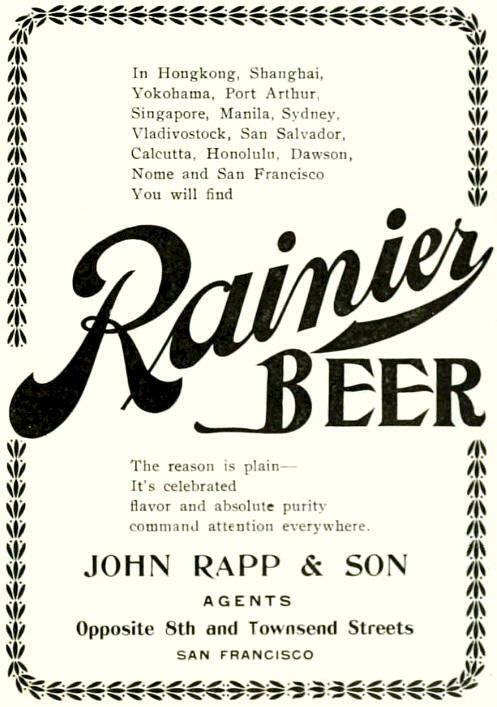 company that Rainier had established in 1903. In a few short years the venture was abandoned and the brewery sold to a B.C. investment group which was to become Coast Breweries, Ltd.
With the repeal of Prohibition in Apr. 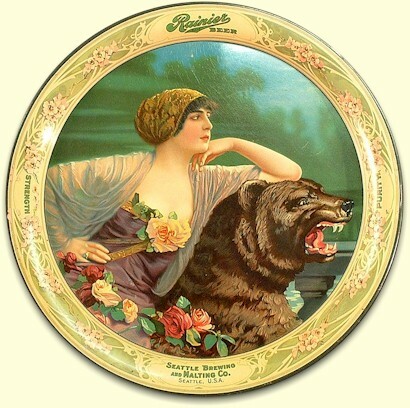 1933, Rainier was again being brewed in San Francisco by Louis Hemrich's Rainier Brewing Co.
Rainier Beer tray - "Evelyn Nesbitt"
"A Good Judge Knows Rainier"
so there won't be many additions to this page. 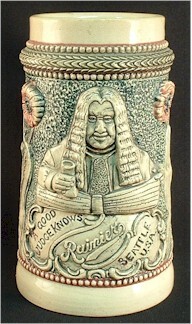 WARNING - I've seen phony match safes from seven different WA breweries - all with graphics taken from my history pages. Aberdeen Brewing Co.; Albert Braun Brewing Assn. ; Columbia Brewing Co.; and the Washington Brewing Co. of Everett. Copyright © 2004 ~ All Rights Reserved.